Qualys announced today that it has been named in the 2011 AlwaysOn Global 250 Top Private Companies List. The AlwaysOn Global 250 winners were selected from among thousands of domestic and international technology companies nominated by investors, bankers, journalists, and industry insiders. The AlwaysOn editorial team conducted a rigorous three-month selection process to finalize the 2011 list. 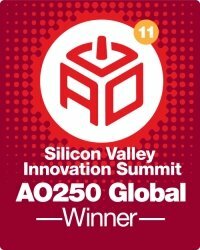 "This year’s AlwaysOn Global 250 are companies driven by the biggest mega-trends, including the accelerating growth of mobile users, cloud computing, and SaaS offerings, globalization, and the socialization of commerce, and basically everything online," says Tony Perkins, founder and editor of AlwaysOn. "This year’s winners clearly represent some of the highest-growth opportunities we’ve seen in the private company marketplace in the history of the global Silicon Valley."